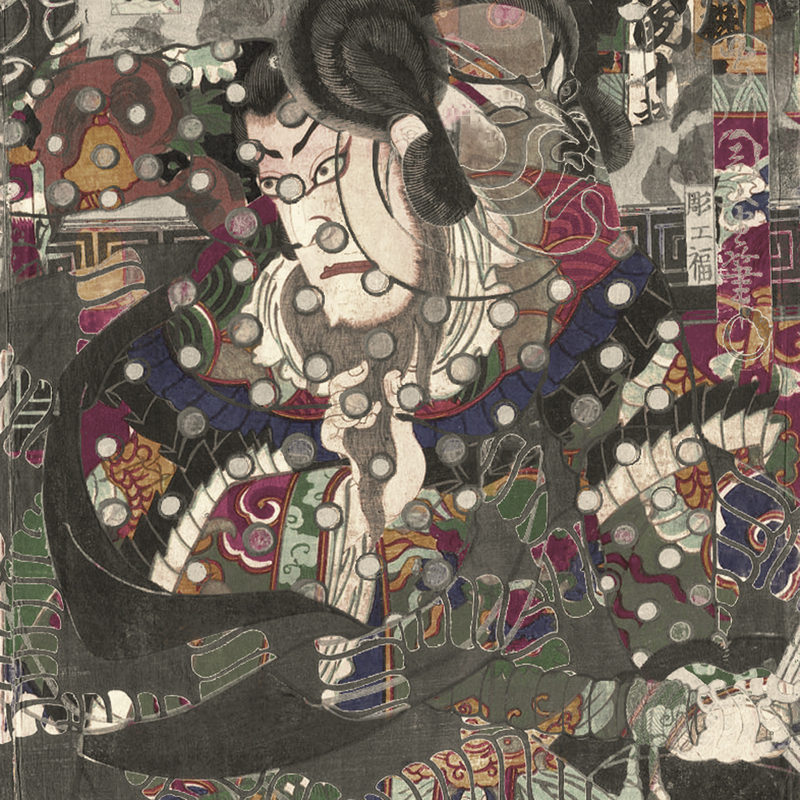 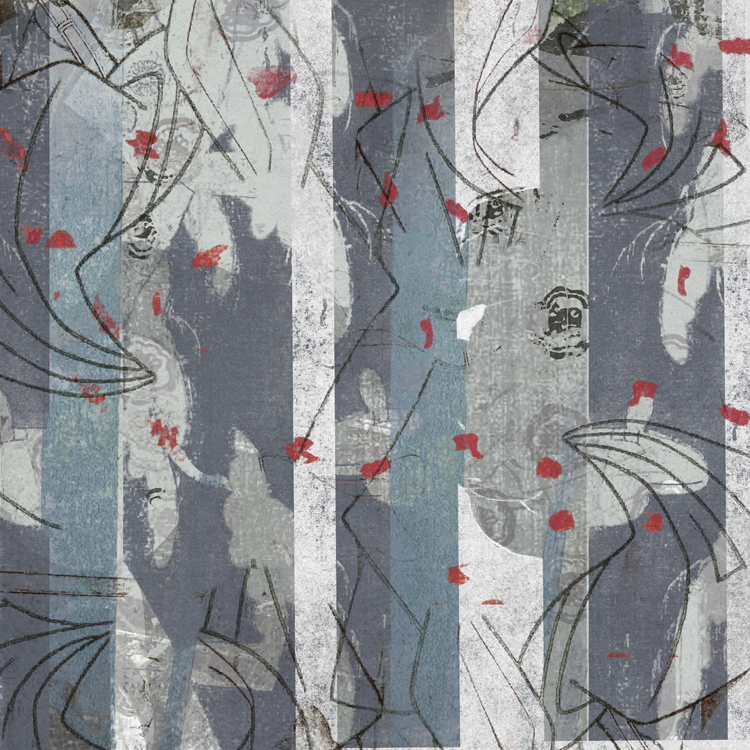 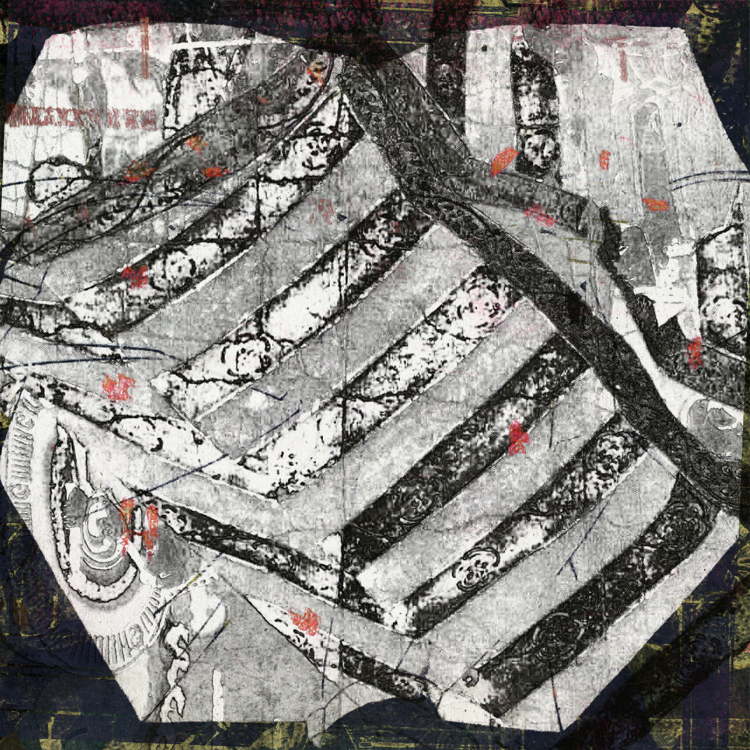 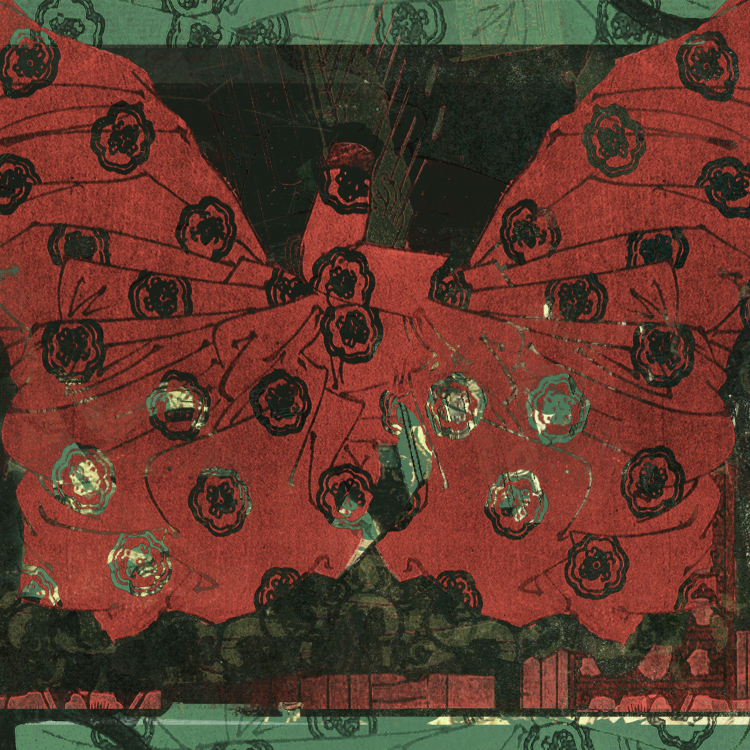 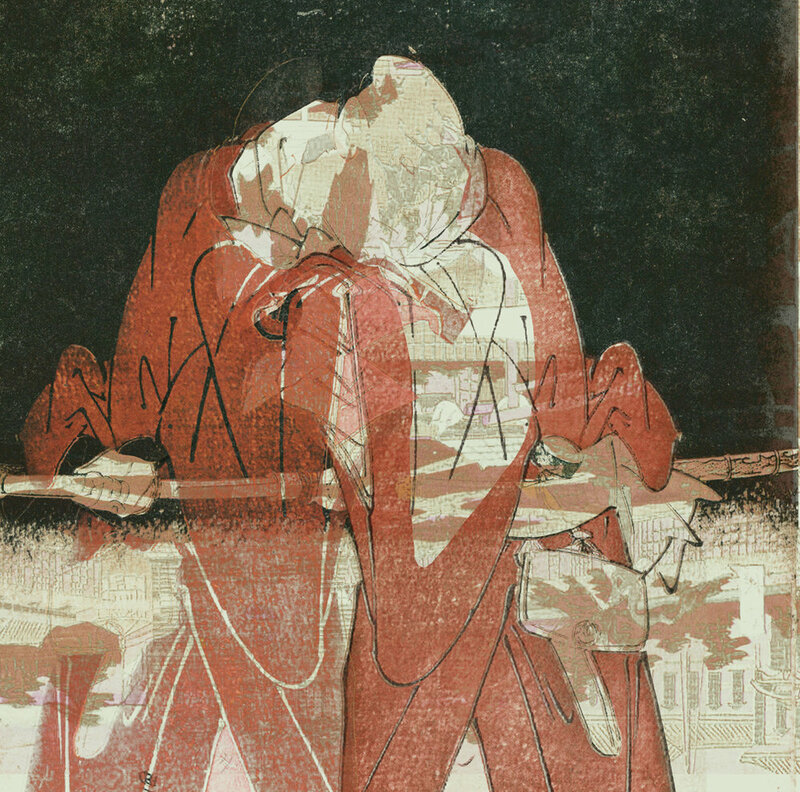 These are digital collages based on scans of woodblock prints found in an old History of Japanese Art book. 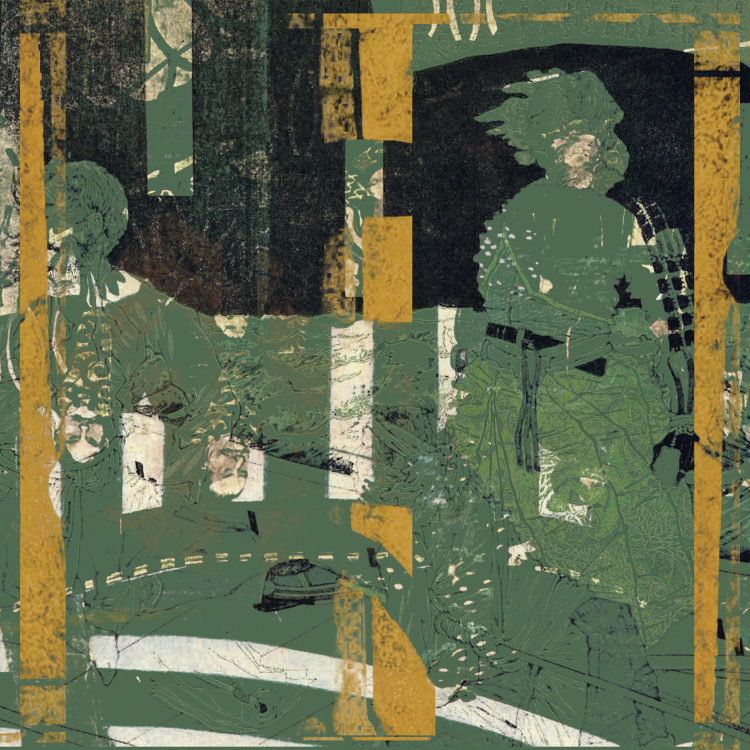 I was interested in how polychrome woodblock prints require separate blocks for each color… I started collaging based on color selections rather than cutting. 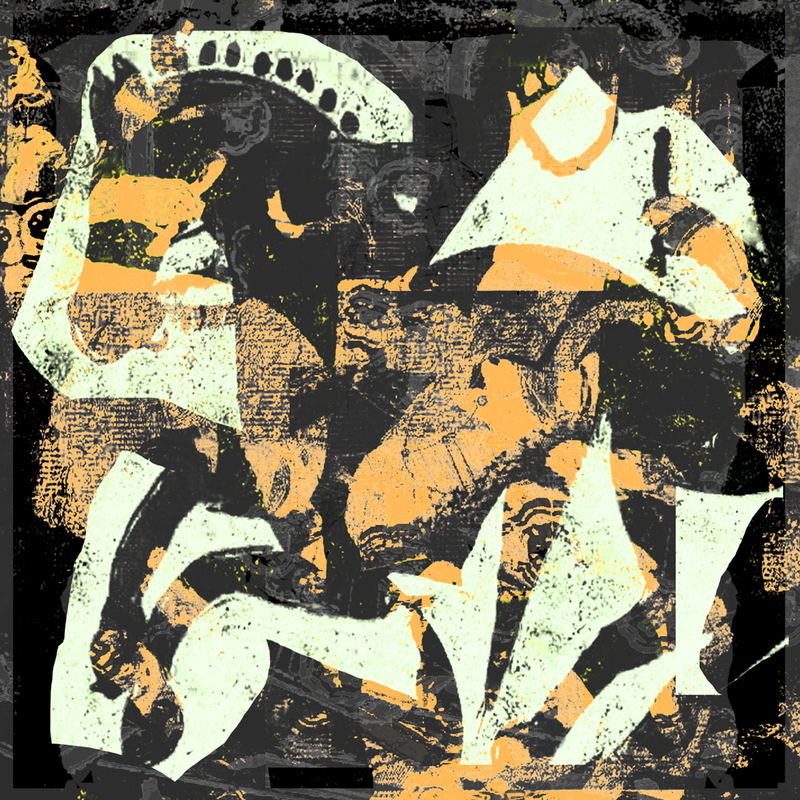 I was imaging I had all the original woodcuts but had mixed them all up.